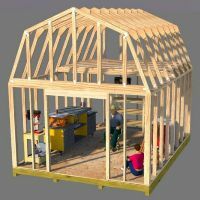 These wood shed plans are for building a nice 12L x 10W saltbox style storage shed. 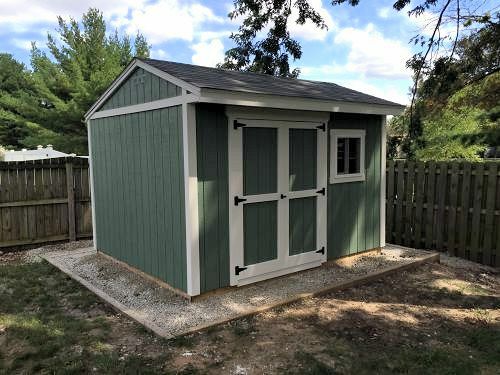 When built off of 4x4 skids this shed is 9'8" high. 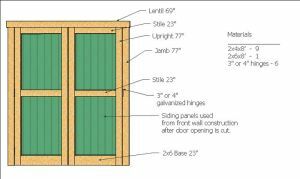 You can see by the picture this shed has nice wide double doors that are 5' wide, and also plans for framing in a 2' x 2' window which can be any style you prefer. Casement, single hung, or fixed. 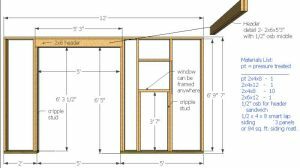 You can use any choice of siding you prefer however the plans show smart lap siding which is pre-engineered, pre-primed, and lasts a long time. 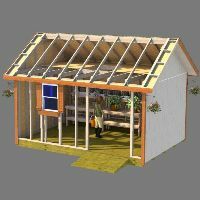 You'll like the floor framing as it can be constructed of all pressure lumber. 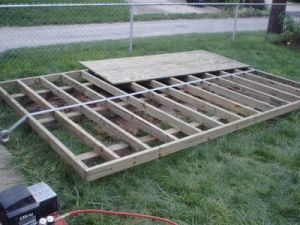 The plans show floor joists which are framed at 12" on center to take on your heavy riding mower. 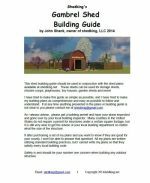 18 page illustrated and detailed building guide. Materials List For Shopping - All framing and construction blueprints listed above show clearly all lumber cuts and materials needed for that particular building phase of the project. These plans are just $6.95 and are available as an instant download using the 'Buy Now' button below. Purchase is made through paypal and you do not need a paypal account for this. 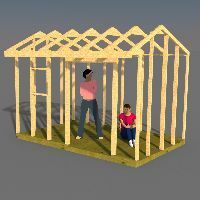 If you do not recieve the link to download the plans then your email provider has blocked the link thinking that it is either spam or junk, so please make sure your email can receive emails from shedking.net and ejunkie.com. If you do have problems getting the link for the plan download, please email me at shedking@gmail.com.